First, it was the hipsters. Now it’s the business owners. 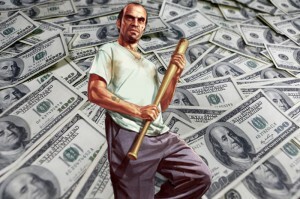 SAN ANDREAS, CA – In what appears to be a sea of lawsuits against one of the world’s most beloved game development teams, it’s time to chalk up one more. This case, though, is not about another opportunistic middle class minority or Hollywood afterthought attempting to steal a piece of Rockstar’s (arguably stolen) pie. It’s about Rockstar’s pie being too big. Within the first three days of it’s launch, Grand Theft Auto V broke sales records all across the board, pulling in upwards of a billion dollars. That alone would make it undeniably the quickest selling form of media entertainment in history. It outsold Michael Jackson’s Thriller, it got better reviews than Citizen Kane, and it’s soundtrack rivals The Sound of Music itself in quality. Sam and Dan Houser have created both a monster and a masterpiece, with it’s gritty tales of bad people doing bad things allowing us all to live the life of a shoplifter vicariously. All forms of creation have laws, however, especially when the results have such impact. Enter Jack Jaxon, a local Mom n’ Pop business owner (also from New York) who works just a few blocks away from the main Rockstar headquarters. 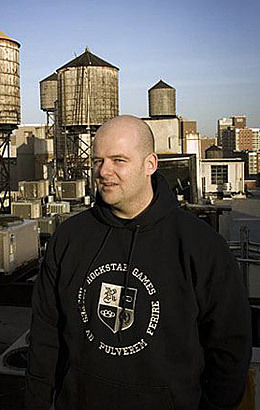 Jaxon’s store mainly deals in common goods, such as food and general supplies, but he claims that being close to the juggernaut game developers is diluting his opportunities for profit. If Jaxon’s plan works out, he also hopes to initiate legislation that will create an actual existing profit ceiling nationwide, which would mean that corporations as well as individuals can only retain a certain amount of income. He hopes that if this were to be implemented, everyone would have an equal chance at making a comfortable living. Curious, VEAG asked Jaxon how much he was suing for: how much he would need to make a comfortable living. Naturally, we had to reach out to Rockstar representatives for a reaction. Foreign correspondent Cliff Lerma was fortunate enough to have a quick Skype chat with Rockstar Games Creative Vice-President, Dan Houser, for an official comment. How will the Housers be able to survive if Jaxon’s Profit Ceiling prevents them from making billions of dollars? According to the City of New York’s judicial department ledger, the court date for Jack Jaxon vs. Rockstar games is scheduled for July 5th, 2014. For further coverage on the profit ceiling case, please stay up to date on Video Entertainment Analysis Group’s online network.